Entitled “Esta Tarde Vi Llover” in the original Spanish, is one of Armando Manzanero’s most highly regarded songs. 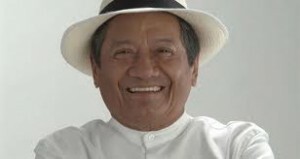 Born in 1935, Manzanero studied music in Mexico City and composed his first song at the age of fifteen. At the age of sixteen, he became a professional pianist. His songs, like “Yesterday I Heard The Rain” are beautiful and romantic songs. He is considered to be one of the most successful composers from Latin America. “Yesterday I Heard The Rain” was recorded on February 26, 1968 and released that year on the album Yesterday I Heard The Rain. It was arranged by Torrie Zito. “Yesterday I Heard The Rain” with Alejandro Sanz was recorded in 2011 and was released that year on Duets II. It was arranged by Jorge Calndrelli.